Well, my predictions from yesterday are looking to be quite wrong. Early results, released today as announced, put the two leading candidates in what is nearly a dead tie; Karzai has 41% and Abdullah 39%. Only 10% of the votes have been counted, and it's unclear which 10% (it's almost certainly not random). Special Envoy Holbrooke said that it's way too early to call whether this election will go to a run-off, and he's right. It begs the question: what the heck was Karzai's finance minister thinking? It seems difficult to think that he is right in his assessment of the vote count (and that the Independent Election Commission is reporting some tiny, skewed subsection of the vote despite knowing more). If he's wrong, does he know it? Does he have some flawed source? The announcement continues to trouble me. More updates as we hear them. 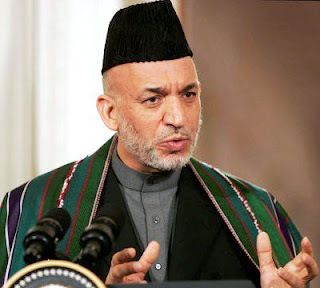 A Dirty Win for Karzai? Partial election results are not due to be released by the Independent Election Commission (IEC) until Tuesday, but a very late Monday announcement by Finance Minister Zakhilwal claimed that Karzai has won the election with a whopping 68% of the vote. If this is actually true, it might appear to be such an enormous number as to guarantee the consent of the Afghan people despite all the intimidation and corruption. But I fear this election is not going to end cleanly or easily no matter what happens. There are 3 likely scenarios: outright Karzai victory, outright Abdullah victory, and toss up leading to a runoff. I talked about the consequences of an Abdullah win or a run-off in my last post. But the Finance Minister, while out of line, is likely correct about the official vote count (he is otherwise very much sticking his neck out for seemingly little gain). But while Afghan polling was neither extensive nor accurate, it certainly seemed like this would be a much closer vote as of two weeks ago. And, further, low turnout in the southern Pashtun regions (due to Taliban intimidation) was likely to hurt Karzai, not help him. A 24% increase in polling for Karzai over that two week period seems highly unlikely. 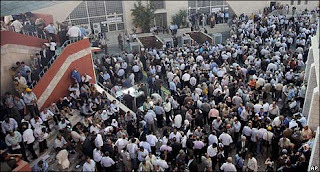 And all of this, of course, is starting to look frighteningly like the Iranian elections. Abdullah, whose reformist slant and underdog attitude are reminiscent of Mousavi, is claiming "widespread fraud" in the vote, in the form of inflated counting, ballot-stuffing, and intimidation; he claims further that such extensive fraud may well change the election outcome, implying that there would have at least been a runoff had the vote been fair. The announcement by the Finance Minister comes a few hours after the UN Special Envoy to Afghanistan supported claims of irregularities and urged that dozens of complaints be dealt with, as they are potentially outcome-changing. 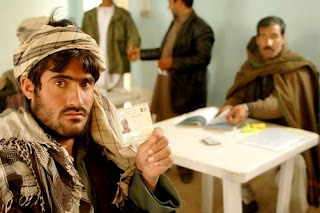 The announcement might be an attempt to instill decisive victory in the minds of the Afghani population to steal the initiative from a potentially messy review or recount process. At this point, the legitimacy of the election may be beyond saving. Abdullah cannot be faulted for claiming fraud if the allegations are true (and they likely are), but a lack of legitimacy is likely to damage the government and can potentially lead to violence. It is difficult to undo the damage of most fraud without a second vote of some sort, and such a thing is not only highly uncommon, but is logistically a nightmare; further, it's unclear a second vote would be any better. For ISAF, it's time to dig in and prepare for unrest. Whether some semblance of trust and confidence can be imparted into the Karzai government when it (almost certainly) receives a victory announcement tomorrow is unclear and grim. And without the confidence and trust of the Afghani people, the central government is going to be unable to stick. 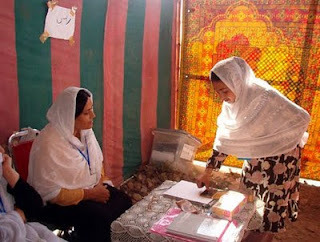 The Afghan elections did not meet the catastrophic failure of total disruption and violence that many officials feared. That hurdle, at least, was cleared, and most people are carefully avoiding entertaining the idea that most of the Taliban (remember they are not always a united front) did not care too much about the elections. That is not to say that there was not violence; there were rockets, there were roadblocks, there were mortars. But they were sporadic and isolated--had the Taliban been bent on preventing the elections from happening, much more noise would have been made. But that's only one hurdle. Turnout was apparently significantly lower than the last election, especially in the south, probably due largely to Taliban intimidation tactics. This southern area is dominated by Pashtuns, where Karzai seeks much of his support to beat Abdullah. Whether this disparity in turnout will affect the election, and whether it will call legitimacy into question, is unclear. Other problems include complaints of ballot-stuffing or other issues of corruption. Karzai's power over Afghani bureaucracy is massive, and has led to a great deal of corruption and graft in normal government functions, and is almost certainly going to leak into the election, even if Karzai himself does not intend to cheat. Beyond that, the Independent Election Commission (IEC) has to deal with inflated versions of normal election problems, like hanging chads. But the votes are indeed being counted. Both Abdullah and Karzai have claimed victory, but the IEC has said that it's too early to tell. A Voice of America survey of three polling districts in Kabul put Karzai ahead in 2 of them, and Abdullah ahead in one, and neither with a majority. Ghani and Bashardost were in 3rd and 4th--Bashardost was unable to leap past fourth place even in his own district of Kabul. Karzai will fare better in the south, and Abdullah better in the north. Karzai's primary disadvantage will be the low Pashtun turnout, but he makes up for this by a number of deals cut with warlords and other local leaders in the north. It should be a close race, and I think a runoff is likely. Unfortunately, a runoff will be a logistical nightmare of the same magnitude as this election. The Taliban will be able to pose a similar threat, the US will probably have to spend another $250 million on it. If Karzai or Abdullah win outright, there will at least be a sigh of relief that the mess is over for a few years. 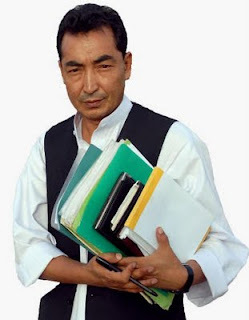 That said, an outright Kazrai win would likely lead to a number of calls of corruption, irregularity, etc, and hinder reconciliatory efforts across the country. Should a runoff occur, the two big bargainers will be Bashardost and Ghani, whose support should be able to deliver key slices of vote. 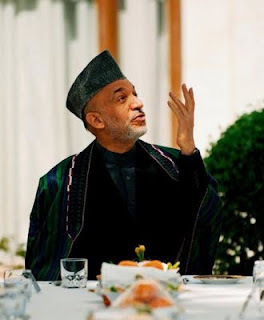 I predict that they'd be more likely to support Abdullah, who shares their anti-corruption message, but Karzai is a great negotiator with a lot of power, and could sway them to his side. Should Karzai lose, his supporting warlords will have also lost, and will have little in the way of loyalty to the new government. Whether Karzai can or will convince them to get in line will be worth keeping an eye on. A low-order analysis of the coming Afghan election (which is about the best you'll be getting out of me today) suggests that no likely result is going to have particularly positive outcomes for the anti-Taliban coalition, despite the increasingly bulky bunch of eggs being stuffed into the election basket by the ISAF. Recent polls put Karzai in a decisive lead with 44%, though failing to get 50% would lead to a runoff. In second is former foreign minister Abdullah Abdullah with 26%; in third, Ramazan Bashardost with 10%; and in fourth, Ashraf Ghani with 6%. So let us first assume that the vote goes relatively smoothly, despite Taliban attempts to disrupt it. If Karzai wins, Afghanistan has a status quo problem. He is not a terrible president, but he is often arbitrary, his government is corrupt and dysfunctional, and he has apparently alienated much of his former Pashtun support in the south (he is the only all-Pashtun major candidate). Worse, he is being seen as selling out women's rights: he is executing the implementation of a law that allows Shiite men to deny food to their wives, should their wives not be satisfying them sexually (among other things). The implementation of the law is likely to boost his support among some of the 20% Shiite population of Afghanistan. Once the golden boy of the anti-Taliban movement and its Western allies, Karzai has fallen to the point of receiving but an exhausted shrug from those former allies with whom he is not currently cutting deals. Communication difficulties throughout Afghanistan and other barriers to entry for other candidates are probably large contributors to Karzai's current poll popularity. Dr. Abdullah Abdullah is half-Pashtun, but spent the Taliban regime fighting with the Northern Alliance, and is therefore unlikely to win over many fence-sitting Taliban supporters simply by being elected. His current campaign mimics that of President Obama in rhetoric, and he has clearly set himself up as a sortof "change" candidate, with governmental corruption being his highest campaign issue ("security" is not listed as an official issue, but this may in large part be due to the fact that Abdullah knows better than to think it is a simple lack of will to fight that is keeping the Afghani security forces from winning). He is certainly likely to take Mr. Karzai to a runoff, but whether he'll win is unclear even to pollsters. And whether he can pull Afghanistan together is equally unclear. He does not have the loyalties of many tribes and warlords that Karzai does--and if they cannot be kept in line as the Afghan state develops, they will become as dangerous as the Taliban. And while a change in face might bring some temporary honeymoon to negotiations with the Taliban, they are unlikely to balk on their demand that negotiations occur only after foreign troops have left the country. The other two candidates are very unlikely to make it to the runoff, which is a shame, because they're quite incredible men. They're both very well-educated technocrats that have detailed plans on how to create structures and incentives to eliminate corruption. Bashardost and Ghani have both won my heart: Bashardost's campaign office is a small tent outside of Kabul's parliament, and he's got a reputation as a charismatic, hot-headed crusader for transparency and political rights. 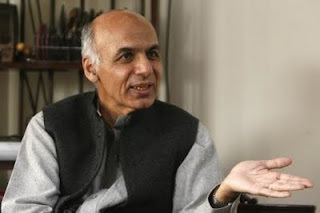 Ghani is talkative and is apparently at times overbearing, but this is largely because he has so many intelligent things to say that he must say them quickly, lest he run out of time. As the former planning and finance ministers, respectively, their attention to detail grossly outstrips their more strongman-style rivals. But, again, they are very unlikely to win. And, again, this assumes that the Taliban's relative quiet over the past few weeks has not been in preparation for a devastating and coordinated attack on the elections. Should the elections be significantly disrupted, the winner will face incredible legitimacy problems, despite the best of possible intentions. Thursday shall be a tense day. But the Taliban have largely let election commission workers set up and prepare without harassment, which means they may well not try to disrupt the elections themselves. The Taliban are more interested in gaining popularity for themselves than instilling temporary chaos. 90% of polled Afghans declared their intention to vote, which means a significant disruption would likely stir anger amongst otherwise-friendly Afghan people. The Pakistani Taliban's PR disaster has probably taught the Afghani Taliban that discretion is often a key aspect of a winning strategy. We'll keep you updated on how things go on Thursday when we know. Fatah had its first congress in 20 years over the week, in what was seen as an attempt to save the party from its quickly-deteriorating reputation (which has been, since 2004, increasingly along the veins of "corrupt," "divided," and "ineffective"). After the surprising 2006 loss to Hamas in parliamentary elections, and then its ouster from Gaza by a Hamas coup, Fatah appeared to be running out of time. This sixth Congress was an exercise in enormous cat-herding, and the vote was severely delayed due to an apparently unexpected addition of delegates and a rather frantic worry about the outcomes. And, for the ruling powers of Fatah, worry was worth having. This "old-guard," as it's being called, lost big--of the 18 seats in Fatah's central committee, old-guarders won only 4 seats. Younger "reformists" won 14, setting the path for a new kind of party. Abbas, despite his links to the old-guard and the beginning of the movement, appears to come out of the congress strengthened, with young and energetic allies in the central committee, as well as a renewed mandate. This "reform" sub-movement is much more a political party than a resistance movement. They support a two-state solution based on the 1967 treaty lines, and are willing to negotiate with Israel over the issue. They have not dropped the right to "resist by all means" for the independence of the Palestinian people, but doing so would have been political suicide anyway. But this new Fatah is distinguishing itself from its violent-revolutionary cousins, Hamas, much to the relief of moderates in the US and in the Middle East, Israel included. But its leadership is younger, more popular, and probably less corrupt. The new leadership has a year to get its act together before 2010 elections, in which they hope to re-take control of the Palestinian territories, and can then negotiate with greater legitimacy on behalf of the Palestinian people for statehood. Whether these negotiations can actually push forward in the face of continued Israeli settlement construction is daunting. Israel may require a change in regime itself before serious negotiations over the details of a two-state system re-emerge. But if the Palestinian Authority can present a moderate, reasonable alternative to the violent and inflexible Hamas, Israeli fears may be assuaged to such an extent that a more reconciliatory leadership will emerge in time. Fatah will need to remain consistently open to negotiations, and more importantly, it will have to impose credible control over all of the Palestinian Authority before the Israelis are likely to see the short-term risks of two-state solutions sink far enough below the potential long-term benefits to seriously consider that road. Will the Afghan Gamble Pay Off? The thing that I like about the Surge-like offensive in Afghanistan is that it is likely to produce a more decisive strategic-political path within a few months than a more conservative approach was likely to determine. There are obviously problems--the biggest is deaths, both the number and the type. After a short two days, there are already 9 coalition deaths, all of which were from roadside attacks or other ambushes, rather than from coalition-led assaults. As I've mentioned before, this is tough on morale. If this rate of death keeps up, the US public is going to seriously reconsider the wisdom and efficacy of leaving troops as sitting ducks in Helmand. The Brits are already getting ready to leave. Public opinion in the UK is dismal--over half of Brits think that the war is unwinnable and that troops should be withdrawn right away. The increasingly-popular Tories are having trouble resisting the political temptation to pull for withdrawal. The offensive is clearly a gamble; the Brits need results either to improve public opinion or to simply see themselves as accomplishing as much as possible before an increasingly-inevitable pullout. But the loss of the Brits would be an incredible blow to the already-stretched thin Americans, and a boon for the Taliban. It is difficult to imagine the war being won if the UK were to disappear in the near future. The other tough part about the offensive is the difficulty in which one observes tangible results. The Taliban denied NATO the satisfaction of sticking around and fighting. Now, training and development dominate US/UK strategy, along with the occasional hunting mission--but the Taliban remain elusive. And when the US/UK inevitably leave Helmand (some time after the elections), they will certainly emerge from their hiding places to reclaim their place--the question is whether the US/UK will have created a sufficiently impressive security environment that they can resist collapse and dissolution under insurgent pressure (the Taliban are unlikely to give the US/UK the easy option of engaging Afghan forces directly in a conventional, protracted battle, lest the US send air cavalry right back in). Whether this security training is sufficient is a nearly unanswerable question from my deskchair in Cambridge, but it is the crux of the gamble. The US must train hard, fast, and well, create buy-in from the populace (such that the Taliban does not have an extensive network of safehouses, informants, etc, upon their return), and keep enough reserve troops on-hand for long enough to provide pinpoint support to any brash assaults from the Taliban--at the same time, the military must protect itself and prevent casualties from spiraling, lest necessity take over and lead to their premature withdrawal. It is a daunting task. If the US/UK can "win" in Helmand, I expect they are likely to use it to improve the bargaining position of the Afghani government with any Taliban. Currently, the Taliban refuse to come to the bargaining table until all foreign troops have left, but the US/UK/Afghan governments fear (with good reason) that a unilateral withdrawal at this point would lead to another Taliban takeover of the country. Withdrawal, therefore, is only an option as much as a loss of objectives is.